This journey between Queenstown and Dunedin is approximately 610 kilometres (km) of natural and cultural attractions laid out one after the other – wildlife viewing, short walks, mountain-biking, fishing, hunting, boating, camping, tramping and caving – making it an ideal drive for those with time to explore. Alternative inland roads provide a more direct path between the main centres. However, the Southern Scenic Route (SSR) is a journey that allows access to deserted beaches, lush rainforest, pristine lakes and stunning mountain vistas. The Southern Scenic Route was originally conceived by the people of Tuatapere, Western Southland, who, in 1985, decided to share the delights of southern New Zealand with all those who took the time to venture down their way. Their determination and perseverance has created a wonderful holiday experience and entertained admiring visitors from all over the world. The Southern Scenic Route is sealed, but roads to some attractions may not be. Some points of interest may be across private land, and access is by courtesy of the landowner. On unsealed roads, slow down and drive to the conditions. If you come across sheep and cattle being moved along roads, please drive slowly and show consideration. 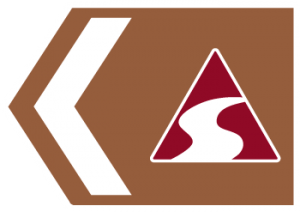 The Southern Scenic Route is indicated by brown signs with the symbol below.The Southern Scenic Route is indicated by brown signs with the symbol to the right. Carry and apply insect repellent particularly in the Hauroko and Borland areas. Keep at least 20 metres away from wildlife. Even the easiest walks need safety sense – be prepared! Stay on the track and remain behind any barriers. Check tide times before you start. Enjoy your journey and please travel safely and with care. There are many camping grounds with excellent facilities along the Southern Scenic Route. We recommend that you stay in Holiday Parks, DOC camping grounds or other designated areas. Freedom camping is not permitted outside these areas without the express permission of councils and landowners. Please obey signs and, if in doubt, ask a local person or information centre. For further information see: www.camping.org.nz. Help us protect our people, land, water and native species, so that these treasures can be shared now and in the future. You can contribute to recycling in New Zealand during your travels by supporting sustainable products and businesses, and making a dedicated effort to use the many recycling stations. The scenery along the Southern Scenic Route is breathtaking, and this experience is amplified when walking the various tracks. Take a leisurely day walk or go bush for a few days on a Great Walk – there are options to suit your level of fitness and experience. Visit a Department of Conservation office or www.doc.govt.nz for further information on tracks. To find and book accommodation please visit the regional websites. Whether you’re looking for an adrenalin pumping technical track or an easy family ride, the Southern Scenic Route features tracks that are ideal for two wheeled exploring. Some tracks are designed for both walkers and bikers, so please keep to your left and use your bell or call out when passing. The Southern Scenic Route traverses some of the finest trout fishing spots in New Zealand. These waters include lakes Wakatipu, Te Anau and Manapouri, and the Mataura, Oreti, Mararoa, Waiau and Aparima rivers. Fishing licences are required to fish for trout and can be bought from sports/ fishing stores, Fish & Game offices in Dunedin or Invercargill, or online at: www.fishandgame.org.nz. Saltwater fishing is popular around the south coast with target species varying by location, from blue cod to tuna and shark. No fishing licence is required to catch sea fish; however there are strictly enforced bag limits which vary depending on the location. 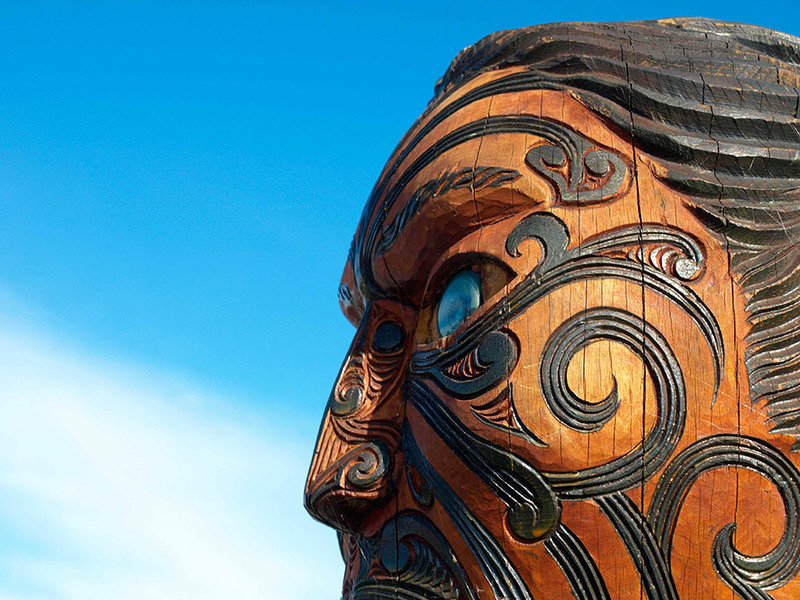 Maori have occupied the south of the South Island for approximately 1,000 years. Permanent settlements at Riverton/Aparima and Colac Bay/ Oraka were linked to a network of mahika kai: seasonal coastal camps that oral traditions say stretched around the south coast. In local dialect the ‘Ng’ as in Ngai Tahu is often replaced with a ‘K’ as in Kai Tahu. Kai Tahu whanui are the indigenous people of the southern islands of New Zealand. Waitaha iwi from Rarotonga were the first settlers and named the South Island Te Wai Pounamu meaning “the Greenstone Isle”, as well as prominent features such as Aoraki/Mount Cook. In the late 1500s Ka ti Mamoe arrived from the Wellington area. Soon after, they were followed across Cook Strait/ Te Moana a Raukawa by two powerful Ngai Tahu hapu/clan groupings, arriving over the space of two generations. By the mid eighteenth century the three had fused into one iwi. By 1800 there were about 20,000 people calling themselves Kai Tahu however there were still groupings of people, particularly in the south, who maintained a strong Ka ti Mamoe identity. Today, Kai Tahu people remain a strong tribe in the south; their influence being visible throughout the Southern Scenic Route. The first European (Pakeha) visitors to the south were sealers. Whaling was the next industry, and Riverton/Aparima was established as a base by John Howell in 1836. As European explorers ventured inland they paved the way for pioneering farmers. In 1861, gold was discovered. Several gold rushes ensued with thousands of prospectors arriving, some from Australia and China, to exploit gold in the Shotover and Arrow rivers (amongst other places). Goldmining history, including Chinese settlements, can be found at several places including Arrowtown. Orepuki and Round Hill in the Longwoods hosted smaller gold rushes. Dunedin also benefited from the gold rush days, briefly becoming New Zealand’s largest town. Sawmills have been an important part of the south’s history. From axes and bullocks the industry developed sophisticated steam-powered haulers, locomotives and mills. The Owaka River was also a site of immense activity – in 1872 more timber left the Owaka River than any other South Island port. In the 1920s the mill at Port Craig was the largest in the country. Construction of a railway line from Balclutha began in 1879, reaching Owaka in 1896 and its final railhead at Tahakopa in 1915. In its wake followed sawmills, schools and farms. As the accessible forests were milled and burned, pioneer farmers turned the land to agricultural use. Hydro-electric development of the Waiau Valley began in 1925 raising the level of Lake Monowai for power generation. In 1971 the Manapouri hydro station was completed, diverting water from Lakes Te Anau and Manapouri to Doubtful Sound/ Patea and supplying power to the Tiwai Point aluminium smelter near Bluff.